Technology has opened up opportunities for businesses to offer multiple channels for bill payment and that has benefited consumers and businesses, including improved customer satisfaction and reduced costs for collections. Bill payment kiosks offer an additional avenue of convenience for consumers, as well as providing an alternative payment channel for the significant portion of the population that is underbanked. Careful planning and design is needed to realize the potential benefits that bill pay kiosks bring to the payments arsenal. While a large portion of consumers have adapted to electronic payments, not everyone is willing or able to conduct financial transactions online. Online security is often an issue for consumers who still prefer more direct methods of payment. Convenience is a major attraction for the consumer with payments kiosks, where they can pay a bill as part of an errand or instead of waiting in line. Bill payments kiosks offer secure transactions for consumers, while providing more options for payments helps establish a positive relationship between the business and customer. Businesses may also be able to reduce operational costs, with fewer resources needed for payments and collections. 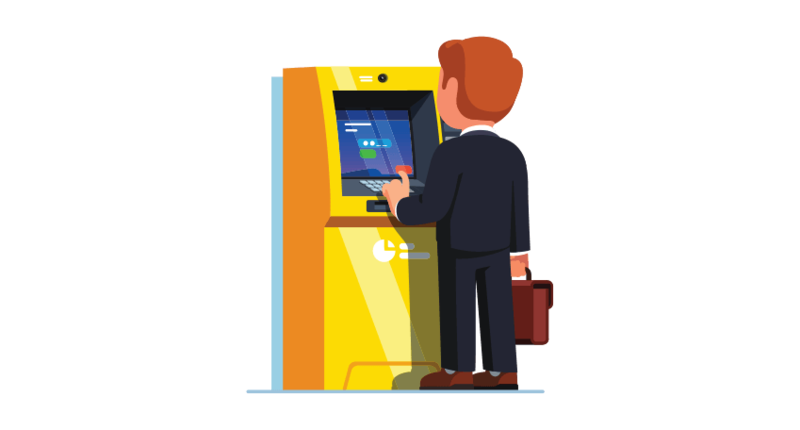 There are also responsibilities and costs associated with payments kiosks, including compliance with industry regulations and installing value-added security features. Quality hardware and software is essential for a successful payments kiosk operation. Downtime or intermittent connectivity is intolerable for consumers engaged in bill payments, and when a kiosk is unreliable, it will be underutilized. Kiosk software should protect the consumer’s data and the network from theft and malicious intent; the operating system needs to be limited to applications considered appropriate for the deployer. Software coding needs to be robust, crash-proof, and include the ability to monitor and repair remotely. When a technician is needed on-site, the software should be able to send alerts to the deployer. The graphical user interface is a critical component for making the user experience positive, leading to acceptance of the kiosk as an effective payments option. It needs to be intuitive, easy to use and designed for the user the kiosk is attempting to attract. For example, when an older population is being targeted, large fonts may be appropriate; in a multilingual setting, language options need to provided and easily selected. Images and zoom text are also features that respond to certain limitations consumers may have. Completing the transaction should require as few steps as possible, and on occasions when the user makes a mistake, there should be an easy way to start over. Choosing the location is another important factor for successful deployment of payment kiosks. When the kiosks are on-site, the owner should consider whether they should be placed to minimize disruptions to customers or staff. Alternatively, drawing the consumers into the store may be part of a sales strategy. When locating the kiosks off-site, the deployer should look for sites that are centrally located along the paths potential consumers frequent, depending on the target population. For example, a biller that caters to a professional clientele may want to locate kiosks near the city business district. Consumers should be clearly informed when the option to pay at kiosks is available. Consumers can be notified through statements, via signage erected on-site, and through social media and email campaigns.